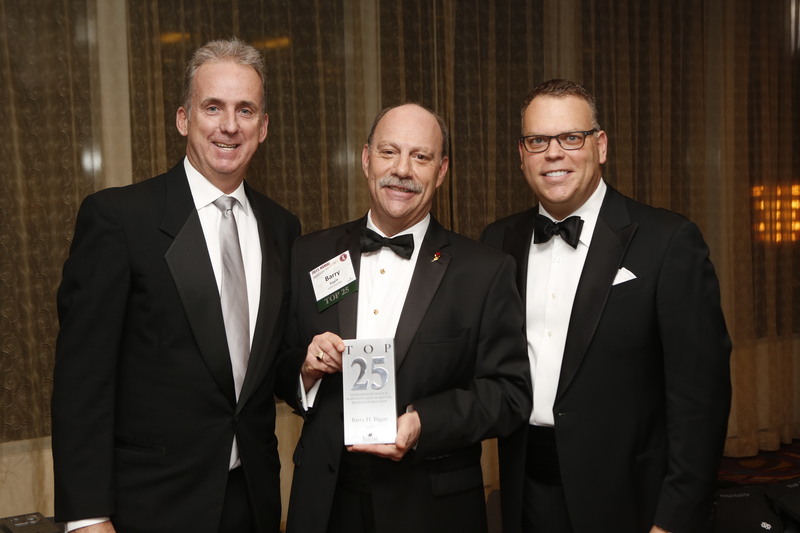 Visit Fairfax is proud to announce that its President & CEO, Barry Biggar, has been honored by Hospitality Sales & Marketing Association International (HSMAI) as one of the Top 25 Extraordinary Minds in Hospitality Sales, Marketing & Revenue Optimization. The honor was bestowed at HSMAI&apos;s Annual Adrian Awards Gala in New York City this past Tuesday. Visit Fairfax also received the Bronze Adrian Award in Digital Marketing for its Storytellers Video Series campaign. The Top 25 recipients were selected based on their creativity and innovation, cutting edge sales or marketing campaigns, triumph in challenging situations, and sales efforts that resulted in dramatic gains. Mr. Biggar finds himself in good company alongside other industry leaders of hospitality giants such as Hilton Worldwide, Marriott International, Google, and the PGA National Resort and Spa. The HSMAI Adrian Awards are well-known in the industry as one of the largest and most prestigious global travel marketing competitions. Mr. Biggar has been President & CEO of Visit Fairfax since 2008. He previously served as the President & CEO of the Bryan-College Station, Texas CVB and has also served as Vice President of Sales and Marketing for the Lexington, Kentucky CVB. He is internationally recognized as a Certified Destination Management Executive (CDME), has served on the Destination Marketing Association International (DMAI) Board of Directors and has chaired DMAI&apos;s Destination Marketing Accreditation Program (DMAP) as well as the Destination & Travel Foundation. For more information on the Bronze Adrian Award-winning Storytellers Video Series campaign, visit www.fxva.com/storytellers. HSMAI, comprised of more than 7,000 members across the globe, provides hotel professionals and other partners with tools to fuel sales, inspire marketing, and optimize revenue through programs like the Adrian Awards. Celebrating its 59th year, the HSMAI Adrian Awards honors breakthrough advertising, public relations, and digital marketing campaigns focused on hospitality, travel and tourism industries. Additional information on the 2015 HSMAI Adrian Awards, including a list of all winners, is available here.